Photography By Jon Howell is a unique photography company that specializes in weddings. This means that they have honed their wedding photography skills to be the very best they can be. 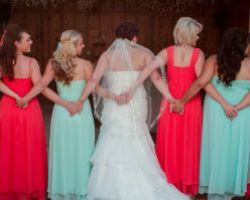 This wedding photographer in Fresno, CA not only serves the local area but is willing to travel to your wedding venue anywhere in central California. It is clear from the very first images you see that this photographer has a natural gift for capturing people’s raw emotions. Let him be there to capture yours. The photographer, who wanted to use his almost 20 years as an industry professional for more personal occasions, started grand Design Photography in 2003. He has experience in photojournalism, fine art and filmmaking, meaning he has a unique and one-of-a-kind style. The perspective he brings to your wedding day is like no other. Seeing his images and the talent he has with a camera will blow you away. His past and current work truly shows that experience is the best teacher. Keith Hartman Photography is the collaborative work of Keith and his wife Paula. Their successful marriage has inspired their stunning photography. 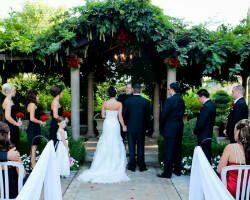 The pair specializes in weddings and is flexible to the style of your event and the photography style you would like. They can produce formal posed images or more understated ‘fly on the wall’ styles. Either way, you can be sure that you are getting top quality images and personal service every time they shoot an event. It seems that there are countless photographers ready to shoot your wedding, but how do you weed out the professionals from those who have taken up photography as a hobby? It is clear from the reviews that Julius Photo and Video is the real deal. This company shoots formal events of every kind. Since this company is so large and so popular they have generated a clear list of packages with options to personalize them. Calling this company is the best way to hear more about their services and availability. 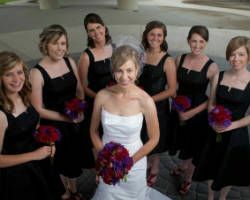 Edwards Photography is not just a California wedding photographer but an events planner as well. Who knows the details of an event more than a professional photographer whose job it is to capture the details? For over 20 years, this photographer has been witnessing and shooting the most important days in peoples lives. Let their experience and industry expertise work in your favor when you book them for your wedding. Add that to their affordable rates and you have a winning combination. JB’s Photography truly does it all. The talent of the photographer at this company knows no bounds. They have found success shooting portraits, headshots, families, pets, special events and weddings to name a few. This photographer is quickly becoming famous is the Fresno area for offering rates that most couples can afford. This affordable rate paired with the photographer’s talent make this a true bargain for anyone who books with them, but it also means they are extremely popular so booking early is a must. Many wedding planners will tell you that a large part of your budget should go towards having a great photographer to shoot your wedding day. While this is true for most couples, you can have quality photography by the best in the business for an affordable price at Milne Photography. 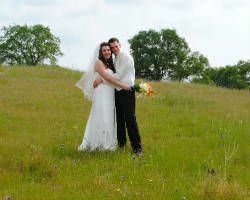 This company is not simply one photographer but a team, each with their special skills. This means that the management of the services as well as the execution, will be carried out by the team’s experts.